Make your application today! Deadline is February 28, 2019! BINGO at Hamburger Marys! October 18th! Please join us for PFLAG-KC’s annual Bingo event. 7-8:30 PM! Make your reservations today! We have great prizes and a lot of fun! BRING YOUR FRIENDS! $10 donation to play and raffle tickets available! In 2018 PFLAG KC was able to provide $1,000 in scholarships to 2 high school seniors in the Kansas City area! 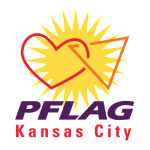 PFLAG KC Meeting May 13th, Mother’s Day PotLuck! PFLAG KC Meeting May 13th, at 3:00-5:00 Mother’s Day PotLuck! Bring your favorite dish to share and come for fun! There will be no scheduled meeting. PFLAG KC is hosting National Geographic’s Gender Revolution Sunday, April 22, 2018 3-5 PM. Kansas City Center for Inclusion 3909 Main Street, KCMO The viewing of the documentary will be followed by a question and answer session. Please join us! * On the 4th Sunday of each month at 3:00 pm at the Kansas City Center for Inclusion, 3909 Main St, Kansas City, MO. © 2019 PFLAG Kansas City. All Rights Reserved.